Attorney General Jeff Sessions announced a new policy on Tuesday night: cities must allow ICE (Immigration Control and Enforcement) officials into their jails. Further, jails must alert authorities when a person who is eligible for deportation is due to be released from custody. If they do not, they will not get certain law enforcement grants. These grants are typically spent on things like body cameras and other equipment used by police. Per Sessions, the policies of sanctuary cities make Americans less safe and undermine American law. These new policies are designed to force cities to change their existing rules in order to better work with law enforcement to deport illegal immigrants. 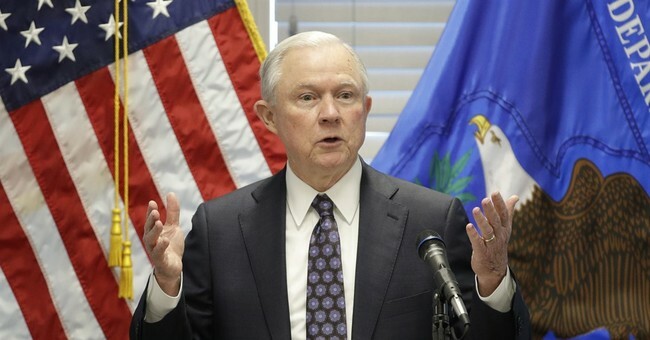 "So-called sanctuary policies make all of us less safe because they intentionally undermine our laws and protect illegal aliens who have committed crimes," Sessions said in a statement. "These policies also encourage illegal immigration and even human trafficking by perpetuating the lie that in certain cities, illegal aliens can live outside the law. ... We must encourage these `sanctuary' jurisdictions to change their policies and partner with federal law enforcement to remove criminals." These policies will go into place starting in September. Cities should not have the right to violate American immigration law without consequences. As we've seen with the horrible death of Kate Steinle, sanctuary city policies have resulted in the deaths of completely innocent Americans. Illegal immigration is a crime, and should be treated as such.